Putnam lawmakers have requested their counterparts in the NYS Legislature to authorize the renewal of the county’s expiring one percent county sales tax increase for an additional two year period. Putnam consumers pay 8.38 percent on their pur… Please login below or purchase a subscription to the Putnam County Courier to access this content. Two more victims of the heroin scourge that has ravaged Putnam County are being reported this week. Nicholas A. Privitera of Mahopac died Sunday at his residence. Privitera was 23 years old. Privitera was the son of Anthony and Lauren Privitera. 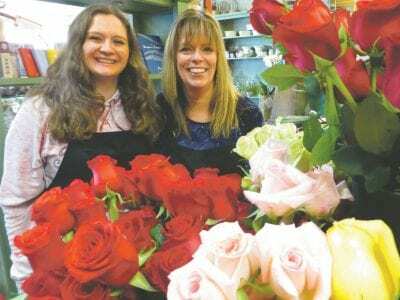 Sh… Please login below or purchase a subscription to the Putnam County Courier to access this content. 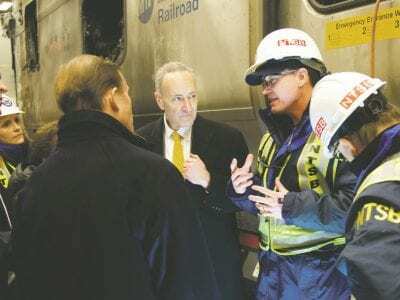 NTSB investigators brief members of Congress, including Sen. Charles Schumer, center, and Rep. Sean Patrick Maloney, left, in front of the damaged train. It could have happened in Putnam County. With railroad crossings similar in construction to the… Please login below or purchase a subscription to the Putnam County Courier to access this content. When not in center stage, the majestic Sam enjoys romping in the snow. 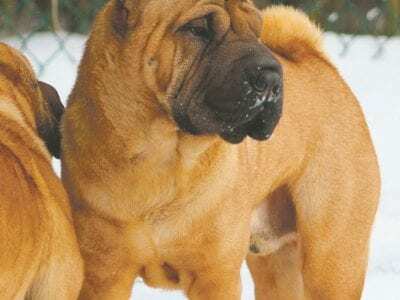 At the Westminster Kennel Club Dog Show next Monday and Tuesday, Mahopac’s own Lou Galeazzo will cheer on his prized Chinese Shar-Pei Sam. The vivacious, wrinkly pup will dig back… Please login below or purchase a subscription to the Putnam County Courier to access this content. 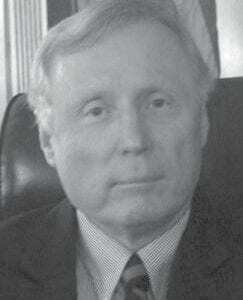 Tony Hay will be seeking another term as supervisor this fall. Supervisor Tony Hay realizes that Southeast is in much better financial shape today than it was when he took office on January 1, 2012, but in announcing his candidacy for reelection Tues… Please login below or purchase a subscription to the Putnam County Courier to access this content. 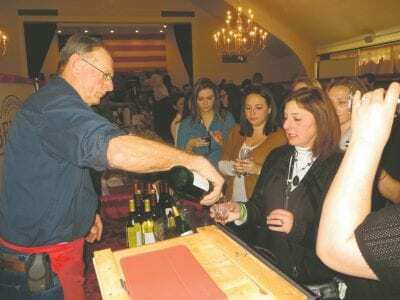 Top: People wait on line to sample a special merlot. Above: Deidre Richardson and her daughter Megan enjoy tasting a special vintage served in a sugar cone. The Richardson’s reside in Mahopac. The weather outside was positively frightful yet in… Please login below or purchase a subscription to the Putnam County Courier to access this content. The mangled wreckage of an SUV that caused last week’s horrific crash in Valhalla is lifted onto a flatbed tow truck by Lisi’s Towing Service in Brewster. Lisi’s Towing Service in Brewster was instrumental last week in removing a sp… Please login below or purchase a subscription to the Putnam County Courier to access this content. Five motorists from Putnam County were among 14 impaired drivers arrested in Dutchess County last week in connection with a countywide crackdown funded by the New York State STOP-DWI Foundation. 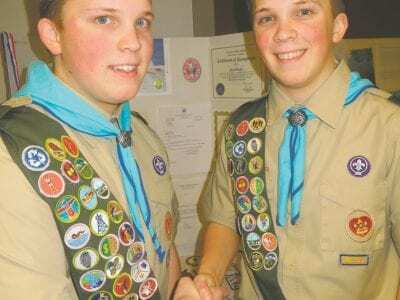 Sheriff Adrian Butch Anderson said the three-day detai… Please login below or purchase a subscription to the Putnam County Courier to access this content.